After leaving Bendigo we drove to Ballarat. We decided to go back to that city and see our University friends for a second time on this trip. We had another really splendid evening discussing the past and the future. But before visiting our friends we travelled to the Ballarat Botanic Gardens. We used to visit the gardens back in 1970 to 1972 when we lived near Ballarat. The photo above shows Lake Wendouree and Mt Warrenheip (SOTA summit VK3/VC-019) in the distance. I have previously activated Mt Warrenheip and I aim to go back there one day. The Botantic Gardens are well worth a visit and the displays were excellent. On the 10th we left Ballarat and took a new route via Skipton, Hamilton and Colleraine to Kingston SE for our last night away. 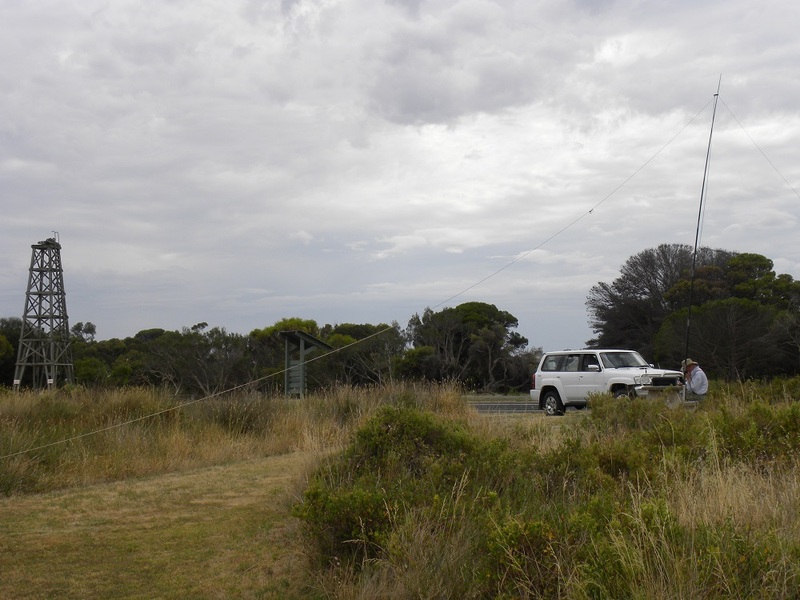 We had an early night at Kingston SE and we thought we could reach the Coorong National Park in time for the local net at 08:00 hours SA time. 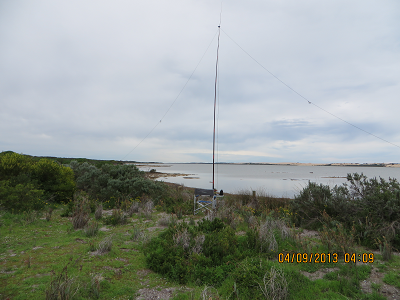 I was keen to have one final radio experience before travelling home and as we managed to get away from Kingston SE reasonably early I thought we could get to the southern end of the park before 08:00 South Australian time so I could join the net on 3.594 Mhz. I could not get all the way to Salt Creek and found a clearing just off the road not far past the southern boundary of the Park.It was just a mini activation as we wanted to do a walk at Salt Creek. I set up and tuned on 3.594 Mhz and called in at 21:38. 21:48 VK5KAA, Gordon 59 Gordon is plagued by noise and could not copy my signal. This photo shows the sun setting over the ocean at Kingston SE. Looking over the Coorong from the walk at Salt Creek. Salt Creek joining the Coorong Lagoon. I watched the Crested Tern fish. She made three runs over the water just on the seaward side of the bridge and on each occasion dived almost vertically on the up-stream side into the water and on the three occasions emerged with a small fish. As you can see from my photo the upstream water was clearer and calmer. Half way point on the walk. 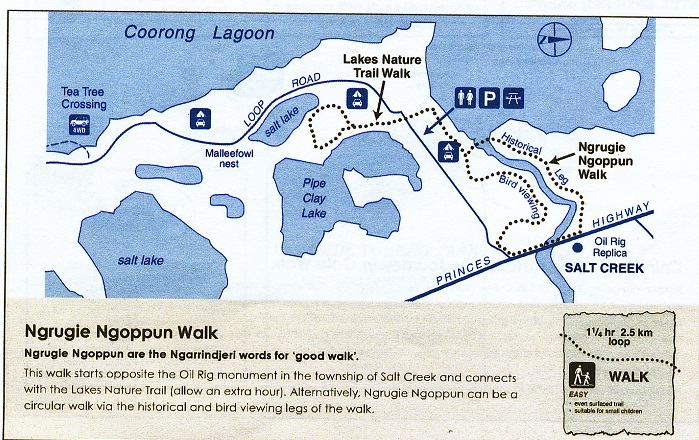 The name of the walk is Ngrugie Ngoppun meaning Good Walk. It leaves on the northern side of Salt Creek and proceeds to the Lagoon and returns on the southern side of the Creek. I estimate that the walk is about two kilometres is clearly marked and easy but very enjoyable. The memorial to Colin Thiele can be found on this walk. Thiele was an author and educator and wrote many books. Perhaps his best remembered is Storm Boy also made into a great film. Salt Creek and the replica oil well in the distance. 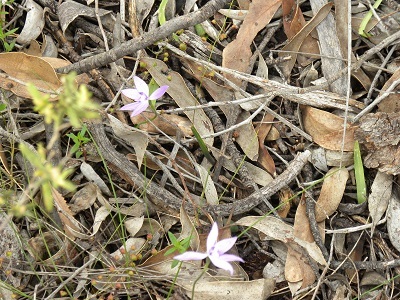 We set off from Salt Creek where we had lunch and then home after some routine shopping at Stirling. We were away for 26 days and travelled 4,400 kilometres in our Patrol. 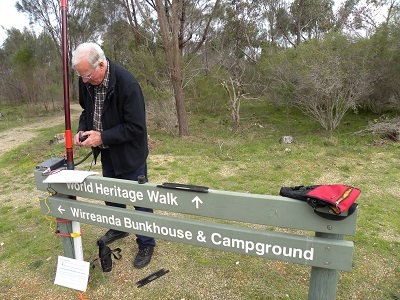 While the prime purpose of the trip was to see our family in Sydney, we also saw friends, a relative in Bendigo, went bird-watching and played radio from nine different portable locations – all great locations. Unfortunately I was unable to access the two pre-programmed DMR repeaters in Sydney. That will have to wait until next time. Once again thanks to all of the chasers. This morning we left Kingston SE to travel home to the Adelaide Hills. The weather was hot, humid and cloudy and we drove through a number of heavy rain showers. As we got to Salt Creek the sun was shining and I decided it was a great opportunity to add to my earlier contacts and try, at least, to get ten contacts and thus qualify the Park for the VKFF award. I parked the 4×4 in a turn-out on the sea-ward side, that is, just in the Park. There is a notice board nearby which provides details of a walk. 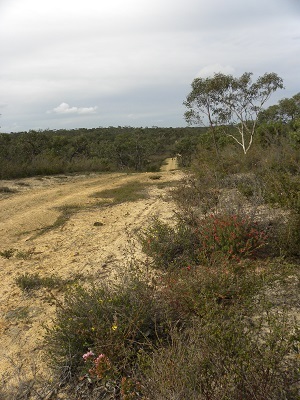 The walk is called Nukan Kungun Hike. It is 27k long and eventually reaches the sea at the 42 Mile Crossing. 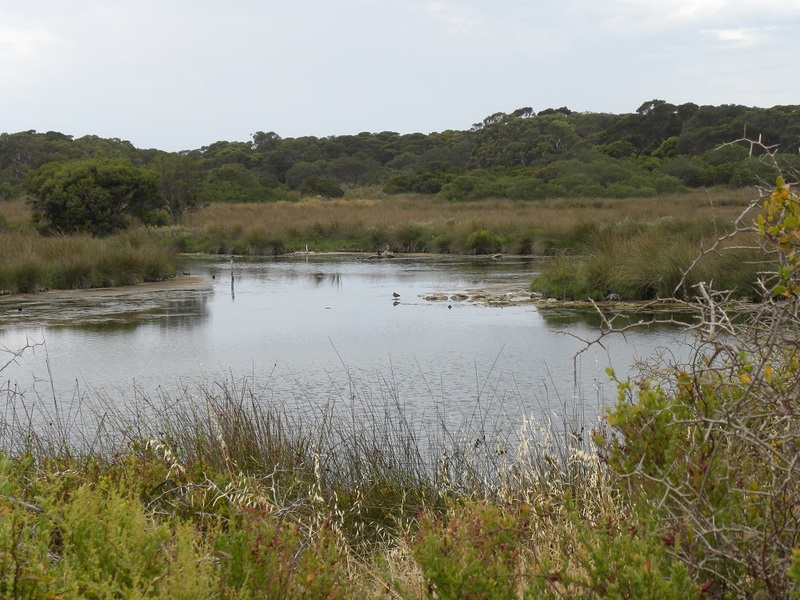 There is also a small lagoon popular with the birds and bird-watchers. The interlude with the sun was short-lived and after we left it started to rain and did so until we arrived home. 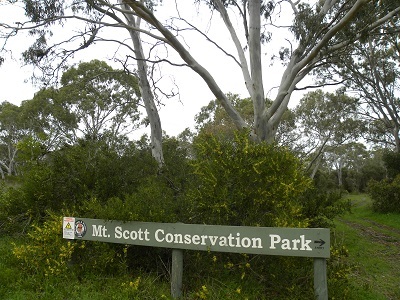 My first contact was with VK3MCD/P2, Brian on VK2/SW-013 and also Mount Kosciusko National Park. This contact was at 22:30. Then in succession I had contacts with: VK3EK, Robbie, VK5WG, Nev; VK5IS, Ian; VK5JW, John at Cowell; VK3ARR, Andrew; VK3FCLS, Brett; VK5GJ/QRP, Greg running four watts; VK2UH, Andrew and VK3XL/P2, Mike on VK2/SM-081. 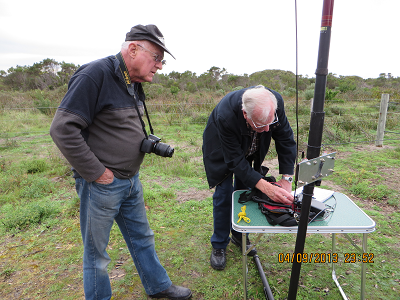 After UTC rollover I had contacts with VK3FCLS, Brett; VK5GI, Norm and finally, VK5GJ, Greg, totalling 13 contacts. My first activation resulted in seven contacts. I was ambivalent about stopping in the Park. I had not posted an alert. But I am sure glad I stopped at the Park!